Clean, friendly hostel and surprisingly inexpensive, given its location. I'm very happy with my stay and would be glad to visit again. The staff was friendly, professional, helpful, and the hostel was very clean, comfortable and gave me an overall excellent impression. I felt at ease. Thank you for a great experience! In fact, I already booked again for next month! 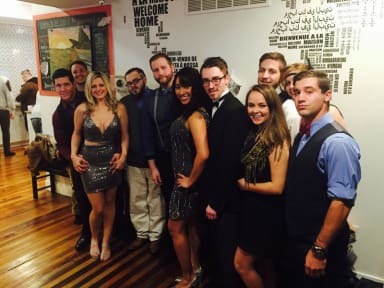 Great hostel- amazingly well located, right in the city centre within easy walking distance of all the main sights and on a well lit busy road so always felt safe at night. The twelve bed dormitory was very spacious and clean, and I never had to wait long to use the shower. The staff were very friendly and made an effort to learn your name and help in any way needed. Although I didn't use it, there was a fully stocked kitchen available to everybody. I highly recommend this hostel! This place was awesome. The staff were very nice and professional. It was great to stay there. I can't understand why people wrote bad reviews about this hostel. It's cheap so it's impossible to expect the best cleanliness and service. But kitchen was clean, staffs are friendly, and free beer for Happy hour was wonderful. People mentioned about the cleanliness of kitchen and bathroom, but I think those are up to people who you stay with. Location is top notch right next to 2ndSt. MFL transit station on the edge of Old City. Accommodations are superb, common areas are generous considering the average space availability in the area good size kitchen. Very clean (generally) showers, but combo with toilets can cause delays in the AM. Lockers are quite small but it seems to be the case a lot at least in the NE. Bedding could use a more seasonal touch, duvets+spring/summer = hot hot hot. :S Generally very convinient in+out. Well located considering it's near the main historical buildings. The hostel itself is well maintained,nice staff and surprisingly comfy bed! Surprisingly coz in some hostels this is a rarity. In all honesty I wish I'd have stayed there for more than just a night. Keep it up lads! 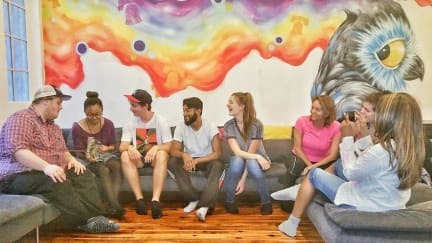 The crew at n2nd hostel provides a comfortable and chill atmosphere perfect for people just finding their way in Philly you can expect just a relaxed lounge the occasional bar hop with some new people or with some of the workers leading the way this is the place to go if your looking for a cozy environment for a solo traveler , groups and even fams always coming back!